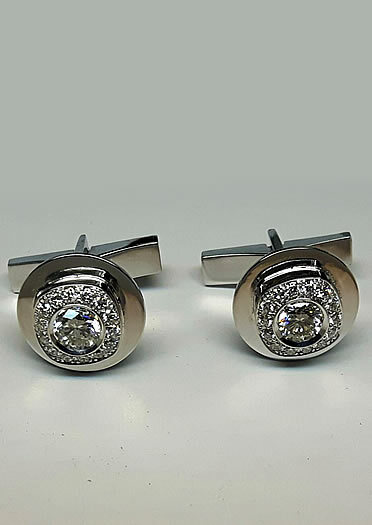 Custom designs are what we do best! We all crave to remember loved ones when they pass away. 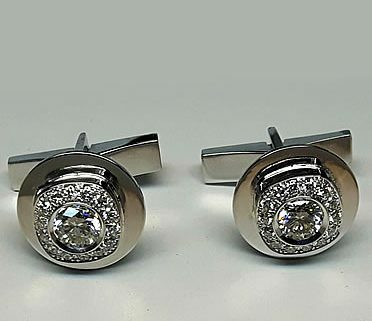 After a courageous battle with cancer, our customer brought his late wife’s diamond earrings and asked if Selwyn could make them into cuff links – and this is the end result! Our slogan is “making memories to last a lifetime,” and now our customer will always have his wife by his side when he dresses up to go out!